I have worked with the team at GKT for the last five years. Their response time is excellent, as well as the services they provide. All the techs I have worked with are thorough and knowledgeable. Any issues, whether tweaks to a service call or billing issues are resolved rapidly. I really appreciate the attention by Tony, Russ, Greg and the rest! Great team. Great work. One stop shop for all commercial HVAC and Refrigeration equipment. 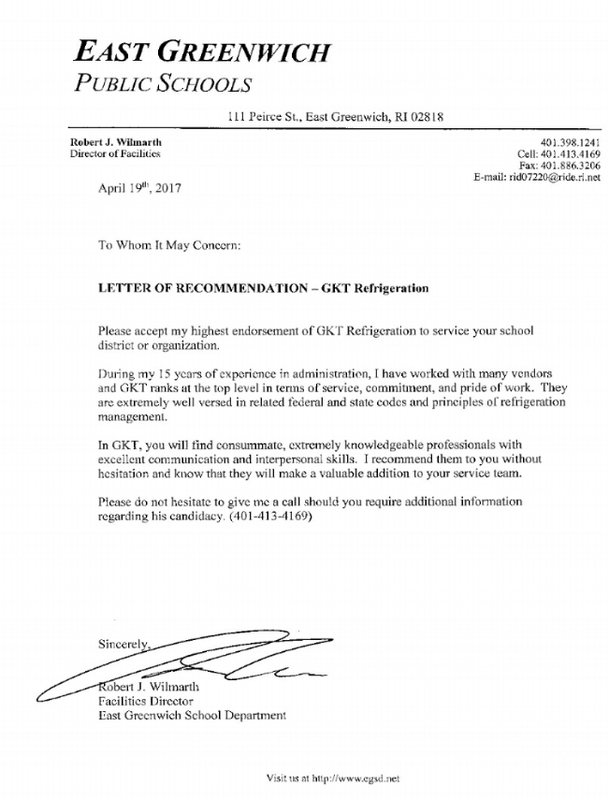 I would never call anyone else to service my refrigerators, these guys are awesome. They do not give up until everything is working perfect, and Russ will always do right by you. I've been using them for a good 5 years now, great guys. -They are very friendly. There is nothing worse than calling for emergency service & speaking to someone who has no empathy about your emergency call. A typical large service company during the peak of the season will tell you that they will call you back with regards to availability & never do. Bethany at GKT has always called us back within the hour with a friendly demeanor & has always done her best to get us on the schedule. -They are consistent. The worst part is when the company you've been using suddenly falls off the grid. This is usually the case with smaller companies where the owner is also the service tech. GKT's operator has always answered our calls. -They give us accurate costs before the job is started so that we can decide whether buying a new unit is more beneficial than repairing a 5 year old machine. Sometimes you'll be surprised that it's better to just buy a new unit that carries a 5 year warranty than to repair the existing unit. They have given us this recommendation a few times & we have listened. They could have easily charged us for service however they always act in our best interest. -Steve. This is the service man that was sent to us on the very first call. We've always asked for Steve ever since. He is awesome. When we call for service, I feel like GKT is part of our team. Steve knows our layout & our operation setup. I don't need to be on site baby sitting & counting how many hours he's been there in fear that I'm going to get charged an extra few hours. I trust him. So for me as a business owner, Steve is a reflection of the quality of GKT's operation. Well done.